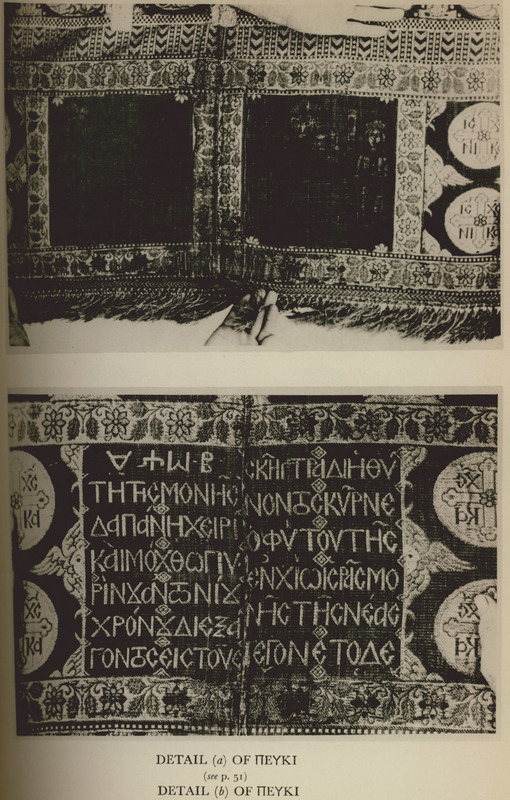 Details from Pefki, Byzantine textile belonging to Nea Moni monastery in Chios. Detail (a) of Πευκί. Detail (b) of Πευκί. ARGENTI, Philip P. The Costumes of Chios. Their development from the XVth to the XXth century, London, B.T. Batsford .